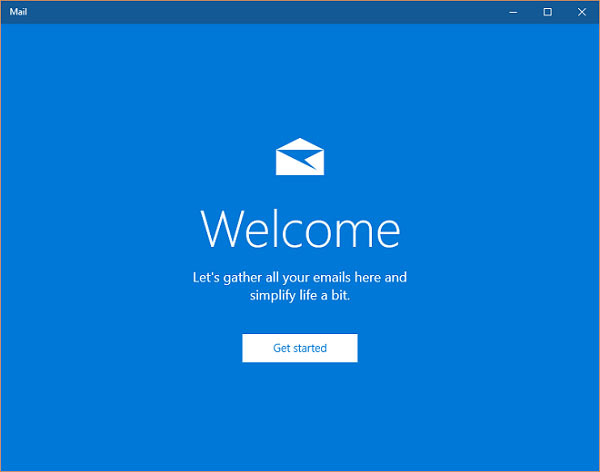 When setting up Mail for Windows 10 for the first time you'll see the screen below. 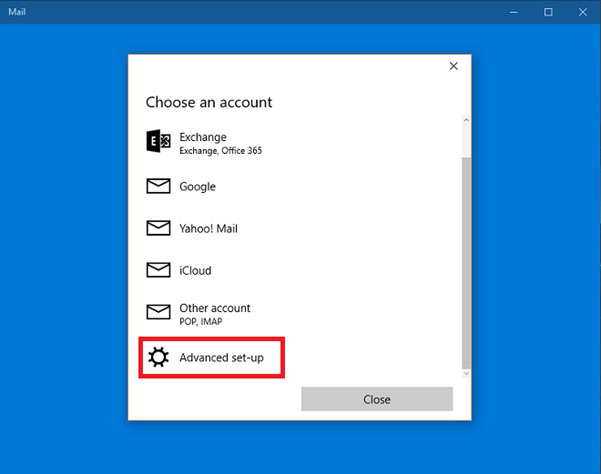 Click 'Get Started' (if you've set up an account for Windows 10 before, please skip to step 3). On the next screen, as shown below, click 'Add Account'. 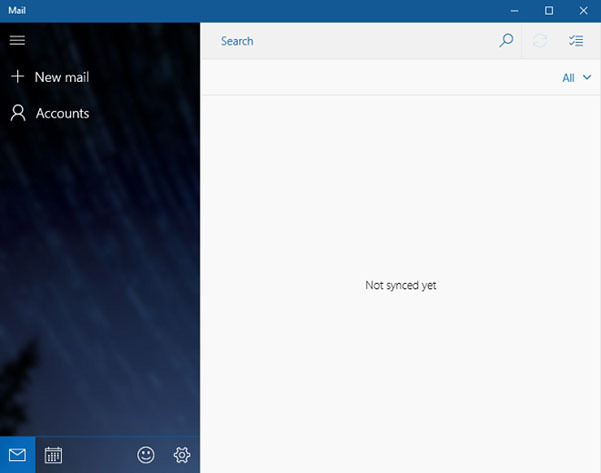 From here, click on 'Accounts' on the left and 'Add account' from the menu which appears on the right. You'll now be asked to choose an account. Scroll down using the scroll bar on the right. Choose the bottom option- 'Advanced set-up' by clicking on it. 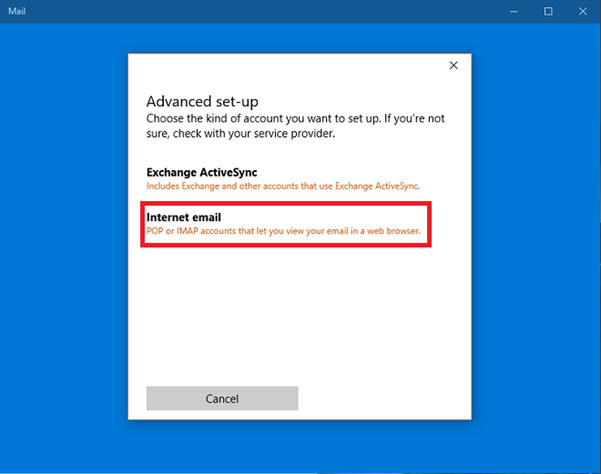 On the next screen, choose the 'Internet email' option by clicking on it. 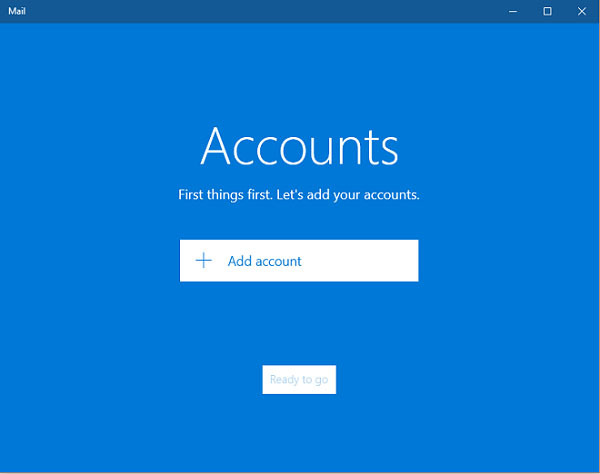 Account name - This is just a nickname or 'label' for the account. For example, if this is your work account you might choose the label 'Work'. Your name - This should be the way you want your name to appear to people who receive emails from you. 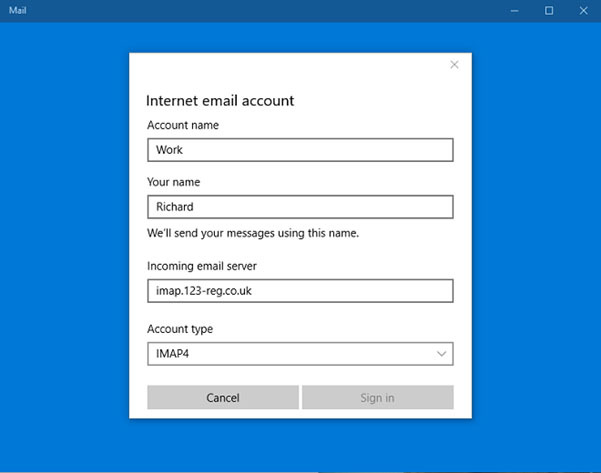 Incoming email server – Type in this: mail.domainname.co.za where domainname.co.za is your domain name. 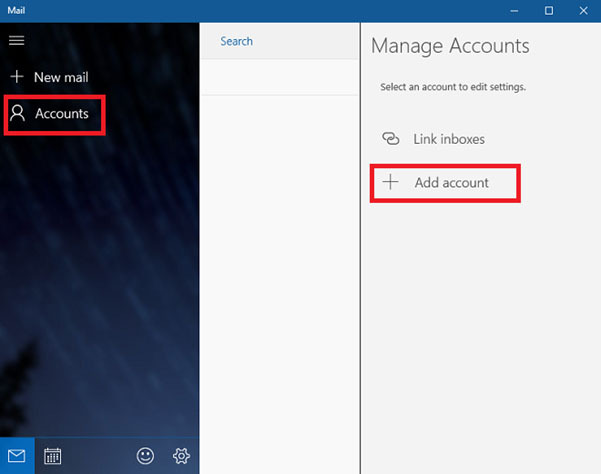 Account Type - Click on the dropdown and choose 'POP3'. 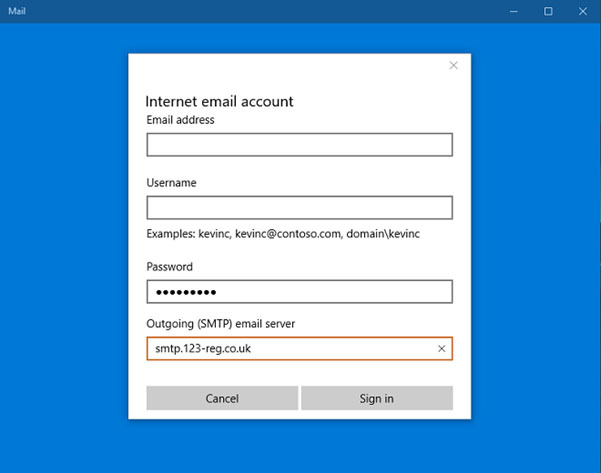 Email address – This is your full email address, all in lowercase letters. Username - This is your full email address, all in lowercase letters. 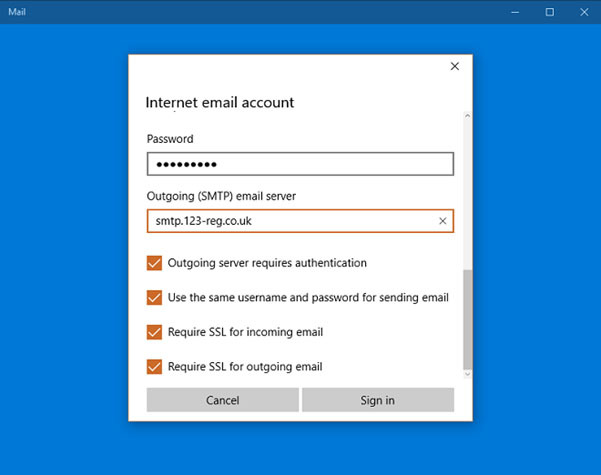 Outgoing (SMTP) email server – Type in this: mail.domainname.co.za where domainname.co.za is your domain name. 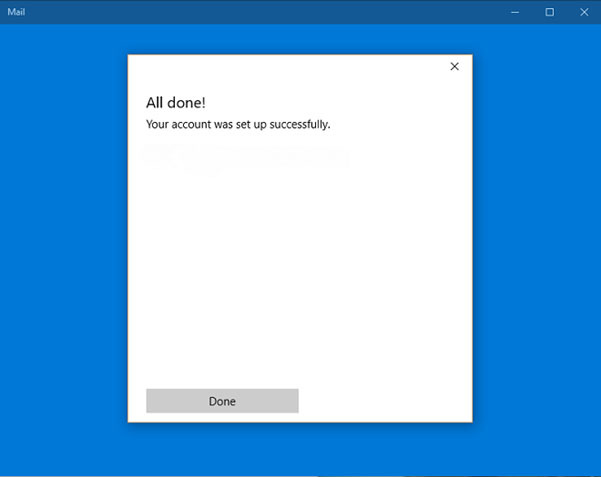 It should now be confirmed that your account was successfully set up! You can now click on 'Done' to complete the setup wizard.